How are you doing so far? Don’t check your weight yet. Wait until the morning of the fifith day. I hope you’ll be happy with your scales. Today is the 3rd day of the induction module. The induction module cleans your body from toxins and increases your energy. You can make it longer if you wish by repeating some days but not shorter. 3 servings of fruit: 1 medium apple/banana/pear, 1/2 cup blueberries/raspberries/strawberries etc. 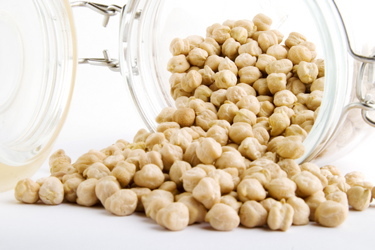 How to make: Strain and rinse the chick peas. Add olive oil, lemon and plenty of oregano. This is and sound too simple but the taste is great!